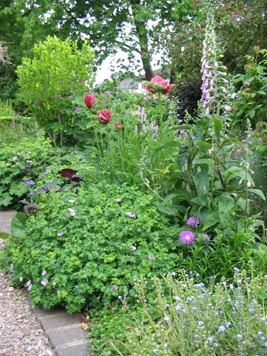 Jan Alway Garden Design Ltd is based in Watford in Hertfordshire. Offering a multi-disciplined and collaborative Garden Design and Maintenance service undertaking projects that can be large or small,suburban or rural,domestic or commercial. Whether you are aiming to rethink an existing garden or to turn an uninspiring space into a vibrant new garden we have the solution. Whatever your reasons for engaging a designer, good garden design will be essential if your project is to be successful.We are commited to producing,creative,exciting,sustainable,achievable and functional garden design. We pride ourselves in consulting with our clients at every stage of the process,listening to all of your aspirations,needs and requirements and making the creation of a beautiful and practical garden an enjoyable process. At Jan Alway Garden Design we have a great awareness of our responsibility to the environment and to the planning and design of outside spaces.